This has been quite a week, starting with the magnificent display of a solar eclipse that was seen across much of the country. Even those of us who were unable to see the show in the sky, it was breathtaking to view it on the various screen that surround us these days. Unfortunately the week spiraled downward from there. Our President decided to send more troops to Afghanistan to pursue an endless war that has been unwinnable for sixteen years and will continue to be unwinnable for the foreseeable future. As the President said in answer to a question about why his strategy would win when so many others have failed, his reply was couched in terms of how many terrorists would be killed. But that has never worked and is unlikely to work now. 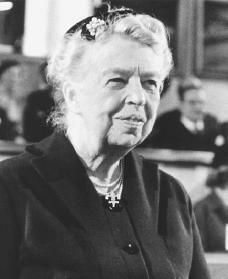 Eleanor Roosevelt once wrote, “I cannot believe that war is the best solution. No one won the last war, and no one will win the next war”. The world has had a chance to see the truth of that statement over and over again during the last half century, most recently in the Middle East. Israelis and Palestinians have been struggling and fighting ever since the creation of Israel and no one has won. Many people have lost—lost their lives, their families, their freedoms—but there are no winners. There are no winners in Syria or Central Africa. Wars keep exploding and then sputtering out in temporary truces and ceasefires, but no one ever wins. And things kept getting worse. The same American hatemongers who brought violence and death to Charlottesville started planning demonstrations in other cities for the coming weekend. A huge storm swooped down on the Texas coast and under cover of the attention being paid to that, the President announced that he was pardoning a convicted violator of our constitution, Joe Arpaio, who had not even been sentenced yet. Mr. Trump also announced, for no apparent reason, that he doesn’t want any transgender people allowed to join the armed forces. Hatred and fear is being spewed out by our leaders with the result that our society becomes more toxic and unlivable every day. I won’t be posting here again until after Labor Day. I think I’ll spend some time watching the ocean and trying to disconnect from the news and the poisonous atmosphere of some of our commentary. I’ll concentrate on the sounds of the sea and the seagulls crying over the eroding beach. Those words were written more than fifty years ago in postwar Germany by Ingeborg Bachmann and eloquently translated by Eavan Boland in her anthology After Every War. On this Memorial Day the truth of those lines is more evident than ever before. War, endless war, continues year after year, erupting in one country after another like a malignant plague. at stone carvings makes me wonder whether some of the destruction isn’t fueled as much by youthful exuberance as by heartfelt belief. I can’t help wondering whether some of these men may not regret the destruction as they grow older and slowly learn to appreciate the value of the past as well as the fever of the present. But the real tragedy of war isn’t the destruction of monuments or art or even homes and hospitals but of people. There are no victimless wars. Every drone that explodes in the Middle East kills someone; every bomb dropped during World War II destroyed life as well as buildings; every shot fired from the trenches in World War I and every volley of rifle fire during the Civil War were intended to kill and maim soldiers and to leave children fatherless and families bereft. Every war that has ever been fought has been a failure—a failure of people to use their human ability to speak and communicate to resolve differences. It is only when people give up the very traits that make them human that they need to turn to war. But Memorial Day is a time to remember those who have died as victims of people’s inability to act as humans. For most of our history the fighting forces that were remembered on Memorial Day were all men—the soldiers, sailors, and marines who fought in America’s early wars. Now, of course, women as well as men serve in all branches of the Armed Forces, so today we should remember the first American woman killed in combat—Lori Piestewa, who was killed in combat. Lori Piestewa was a member of the Hopi tribe and lived on a Hopi reservation in Arizona with her family before she left to serve in the military. Her father had served in Vietnam and her grandfather in World War II, as so many men of the Hopi tribe have served over the years. She left two young children, who by now are probably well aware that the war in which their mother served and died has not yet ended. Perhaps when they are grown they too will serve in one of our endless wars. It certainly seems as though there will be opportunities for that. Peace is as far from us as it has ever been. So on this Memorial Day, all we can do is remember those who have died and will never again see the world that we, the living, are still enjoying. Lori Piestewa will never again feel the harsh Arizona sun or the see a sandy Arizona landscape. The sadness in the loss of life, the end of an opportunity to see the world, was expressed almost 100 years ago by a young poet, Francis Ledwidge, who died in World War I. He was writing about Thomas McDonagh, a man executed during the Easter Rebellion in Ireland. This lament serves well as a Memorial Day tribute to all those who died in all of our wars and will never again see our beautiful earth. The same is true in all the wars against abstractions that America keeps declaring—the War on Cancer, the War on Drugs, the War on Poverty—some have produced some limited good, but not one has ever been won. None will ever be won. There is something wrong in the way we call for war every time we see something we don’t like. The only wars won these days are the fantasy wars on TV and movie screens where unreal villains are vanquished by unbelievable supernatural heroes. And only children believe in those. The truth is, as the Friends’ Committee on National Legislation keeps telling us War Is Not the Answer. It is not war that solves the world’s problems; it is hard work. That means the hard work of negotiating even with people we don’t approve of; the hard work of rejecting the schemes of arms manufacturers and refusing to send weapons to combatants; the hard work of education so young people will learn the value of compromise and conciliation; the hard work of listening to all the members of the UN no matter how unwelcome their comments. War tries to exclude people—to push aside and overcome anyone and anything we don’t like, but life is lived by including as many people and opinions as we can, by hammering out agreements and compromises to keep the world moving ahead. How many of us remember the poem by Edwin Markham, a mostly forgotten poet, who wrote a verse favored by many anthologists and teachers? Eleanor Roosevelt knew that peace had to be won by drawing people in; the Friends Committee on National Legislation knows it too. How long will it be before our political leaders learn that simple truth? Do we need a new broom for 2014? Will 2014 be a peaceful year? There are bad precedents for years numbered 14. One hundred years ago in 1914, Europe blundered into World War I, a story of chilling diplomatic failures brilliantly told in Christopher Clark’s The Sleepwalkers: How Europe Went to War in 1914—a book every member of Congress and the diplomatic corps should read over the holiday break. It’s scary to see how peace can fall apart so easily. Then there was 1814, a year during which much of the world was at war. Napoleon won a few battles, but lost bigger ones. Paris was occupied and Napoleon finally abdicated and was sent to the island of Elba. Meanwhile the Americans were fighting the British in the War of 1812. The Americans won at Niagara Falls, but lost when British troops marched into Washington and burned down many of its most important monuments. Another inconclusive set of battles which accomplished very little but brought death to far too man young men. The centuries roll on, but young men in every time and every country continue to be treated as though their lives were of no value. So what will 2014 bring? The world is not starting out in very good shape. There are wars in Syria, the Central African Republic, and South Sudan. Unrest continues in most of the Middle East including Egypt for which we had such high hopes only a few years ago. Israel and Palestine continue their seemingly endless and dangerous dance. And violence is reappearing in Russian cities. The world needs a new broom. Does anyone besides me still remember the poem “Welcome to the New Year” that Eleanor Farjeon wrote more than half a century ago? I found it again in one of the favorite books of my childhood More Silver Pennies by Blanche Jennings Thompson. Hey, my lad! Ho, my lad! What would a new broom consist of these days? Perhaps a new approach to solving the world’s problems without war. If each of us decides to raise our voice and let our leaders know that we are sick and tired of constant fighting and endless wars, maybe at last we could get something done. Perhaps if enough of us speak out, we can build a new broom that will make 2014 a better year and the 21st century more than just a repeat of earlier centuries and endless wars that accomplish nothing except to sow the seeds for another war. Let’s stop the cycle now. This week when most Americans are breathing a sigh of relief because it looks as though the Syrian crisis may be ended without bombs, it’s a good time to think of some of the other peacemakers who have worked to remove some of the worst weapons from the world. Jody Williams and the people who worked with her to ban the use of landmines is one of the most prominent. 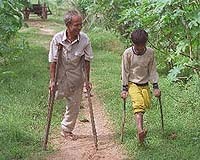 Just over twenty years ago, in 1992, Williams started the International Campaign to Ban Landmines (ICBL) which worked tirelessly to convince countries and international organizations to join together to outlaw the use of landmines. These mines have been used for several centuries in wars in Asia, Europe and the Americas, but their use increased toward the end of the twentieth century. Television brought sickening pictures of the victims, many of them children, into the world’s living rooms. Landmines are shocking weapons when they are used to kill and maim soldiers, but their use goes far beyond that. Anti-personnel landmines stay buried in the earth for years—for generations—and the damage they do can be seen in the number of people with only one leg, or no hands, or other body parts missing. Small children hobble around on crutches because a seemingly harmless walk through a field led to a devastating explosion that brought pain and misery. No number of free crutches or doctor services can undo the lasting harm. When Jody Williams decided to start the International Campaign to Ban Landmines, it must have looked like an overwhelming job. Slowly and painfully through collecting enough money to raise the issue publicly and finally shame most governments into signing the ban, the organization made headway. 161 states have signed the Ottawa Treaty banning the use of anti-personnel landmines although neither Russia nor the U.S. has done so. The U.S. has said that it needs to have the freedom to use landmines in the DMZ between North and South Korea. Americans still need to push our legislators into finding other ways to fight wars—methods that don’t involve the killing and maiming of innocent civilians. But this week Russia and the U.S. are working together to find a way to stop the use of chemical weapons in Syria. 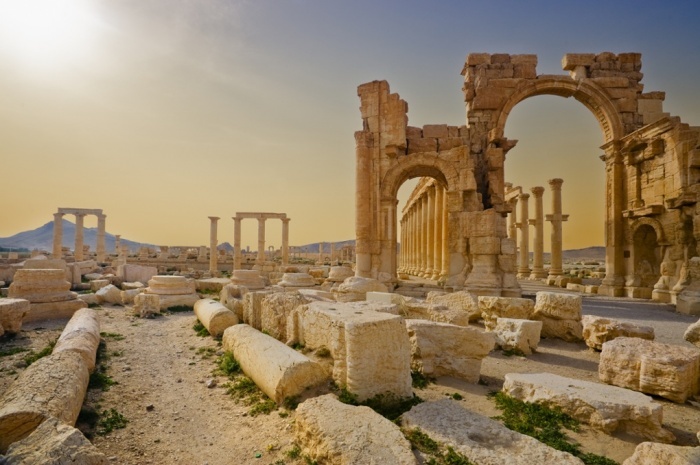 It’s not a perfect solution to the violence in Syria; the civil war continues there, but it is an important effort. 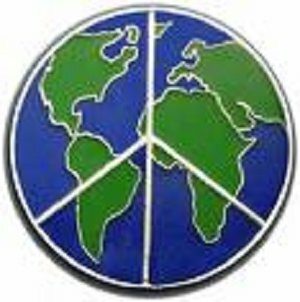 If Syria can be persuaded to give up chemical weapons and destroy them, the world will have moved one small step toward greater peace.Perhaps someday John Kerry and his Russian counterpart Sergei Lavrov will join the roll of peacekeepers. If Jody Williams and her colleagues can persuade countries to ban landmines, surely two powerful government officials can work together to eradicate another one of the world’s devastating war tools—chemical weapons. That would surely be a blessing for all of us.